401k Benefits for Employers | Human Resources Inc. Implementing a 401k plan can be a great tool to retain and attract talented individuals to your business. It could be the deciding factor between someone accepting your offer of employment and accepting someone else’s. 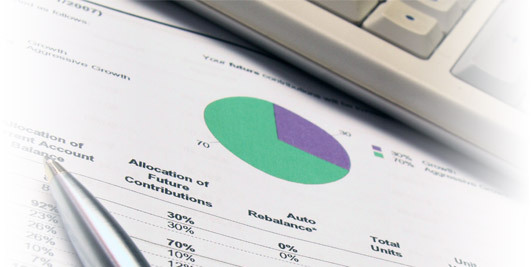 Contributions to employee plans are tax deductible and are capped each year by the IRS. Employer matching can be included in an employee’s overall compensation package to make an offer more attractive. When employer contributions are fully vested, an employee gets to keep this money when they leave your company. If the contributions are partially vested upon termination, some of the money is forfeited back to your company. This incentivizes employees to stay at your company longer and lowers turnover expenses. When it comes to employer matching on 401k plans, there two types of vesting schedules: Graded and Cliff. On a graded vesting schedule, portions of employer contributions to 401k plans become vested on anniversaries of employment. The percentage that becomes vested and when is at your discretion, as the employer. For example: 33% after one year, 66% after two years, 100% after three years. Currently, federal law prohibits waiting more than six years to fully vest on a graded schedule. On a cliff vesting schedule, employer contributions become 100% vested after 1-3 years of employment and 0% vested prior to that. Currently, federal law prohibits waiting more than 3 years to fully vest on a cliff schedule. As a full-service Professional Employer Organization (PEO), we can administer 401k plans for small businesses and larger corporations. The businesses we work with ultimately benefit from our 401k experience through our years of expertise and relationships with retirement plan providers. We will find a plan that is the most appropriate for your company.